These are no-nonsense workouts for when hours at the gym after a long workday just isn’t gonna fly. You can do them at home—no special equipment needed. 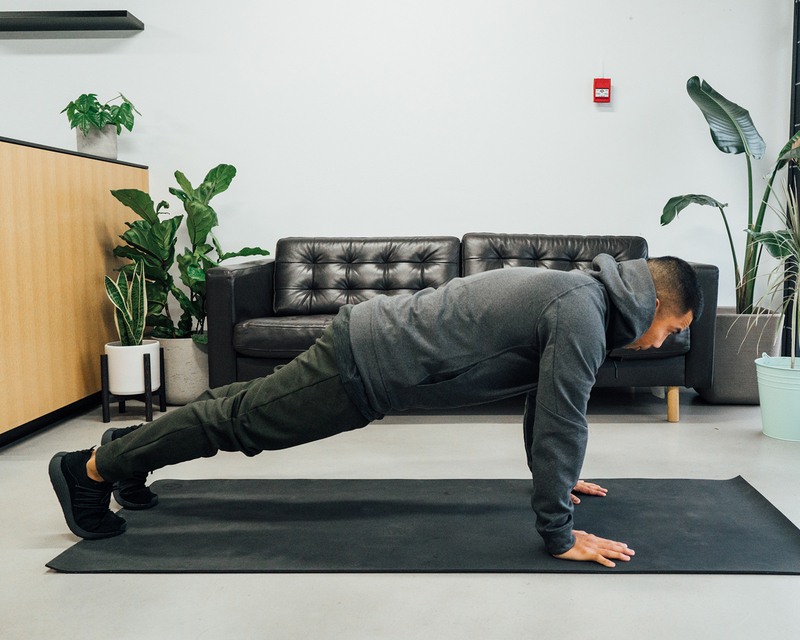 Jian keeps it simple (warning: simple does not mean easy—Jian kicked our butts when we worked out with him) and designs his workouts to give you the most bang for your buck. Or, the most bang for your… fifteen minutes. Give ‘em a try and let us know how you did. Okay, this is the one—max effort all the way. Only you know what “max effort” looks and feels like for you, so go to that edge and reap the rewards. 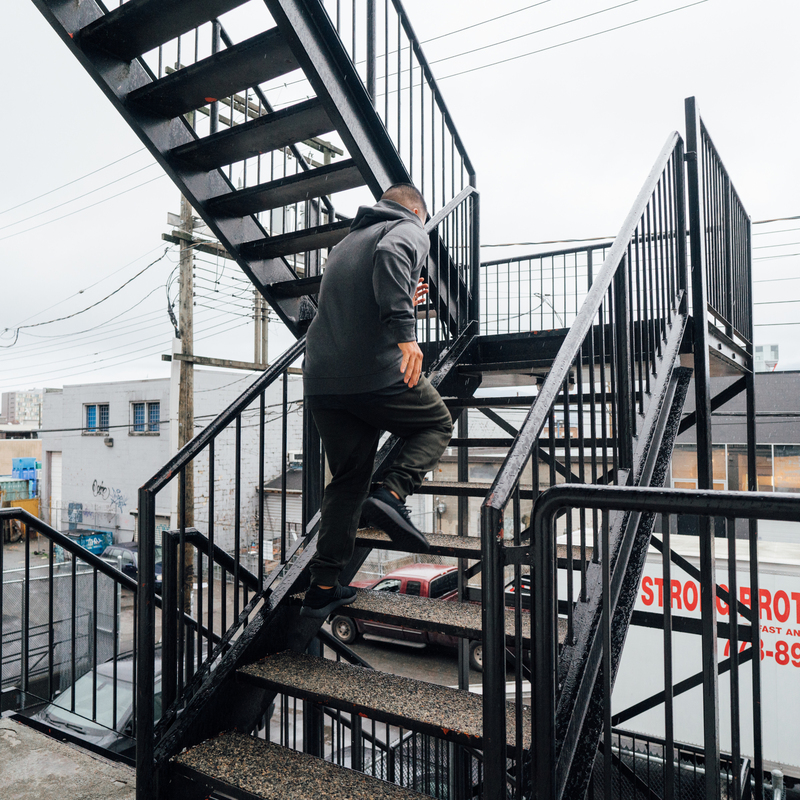 For this workout, you have options: If you have a staircase, use it. If not, find a hill or a long stretch to sprint. Workout like everyone is watching: Be mindful of your form and push yourself to your limit. Remember to run hard and rest hard. Be explosive with every step you take (and also be mindful as you get tired so you don’t miss a step—literally). See how far you can go, drop a marker, then step your game up and beat it. 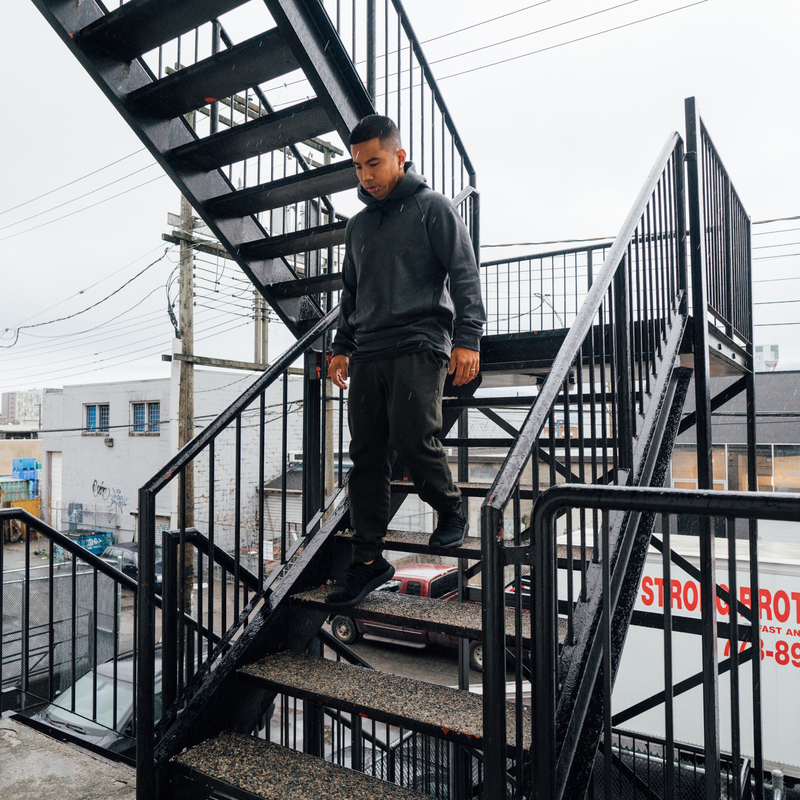 Start at the bottom of the stairs (or hill), and using a stopwatch, press go and run as far up on the stairs as you can for 20 seconds. At the 20-second point, stop running and drop a marker before slowly walking back down to the starting position. Make sure you get back down the stairs within 40 seconds because on the next minute, you’ll run up again and try to beat your first marker time. Repeat this for five minutes, adding more rest if needed. Complete Part 1 again, trying to maintain the same intensity as the first round.